Workflow isn’t just an industrial term for making a product from start to finish, oh no. Today, when you mention workflow sales and marketing people think sales processes or at least we should. And sales processes always include sales lead management, or at least it should. 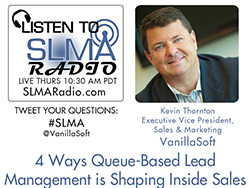 In this interview with Guy De La Cruz, VP of Sales at VanillaSoft he discusses the workflow process of lead management that drives sales. The host is Jim Obermayer. "A sales representatives day is filled with tight schedules, tension, pressure to perform, calls, call-backs, new lead follow-up, old lead follow-up, an aggravating sales manager, customer complaints, emails, presentations and oh yes an occasional appointment and stupid stuff the corporate office layers in just for fun. All of this makes it difficult to keep track of the most important part: new business activities. 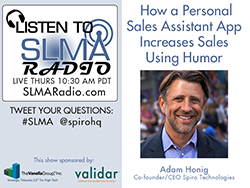 Adam Honig, CEO and Founder of Spiro Technologies shares with SLMA host Jim Obermayer how an app for the iPhone and Android users powers a humor loaded sales personal assistance program to motivate sales reps and help them with their everyday work. Hint: the app uses a customer built-in machine learning engine that leverages existing data in Salesforce, email and calendars. You have to be willing to go from NO. 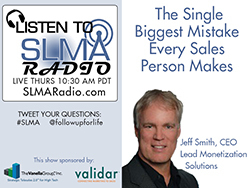 Tim Wackel covers some of the biggest errors salespeople commit… and where there are some big opportunities. Make sure your fun subject goes with the context of the message. You can have some fun. I enjoyed our visit, but I sense that putting together a proposal is still a little premature, what are your thoughts? Get them to BEG you to get to the next step. It's like a great first date. Don't take the bait. Pride yourself on delayed gratification. Tim is the founder and president of The Wackel Group, a training and consulting firm dedicated to helping organizations find, win and keep customers for life. He is a member of the American Society for Training and Development and holds a professional membership in the National Speakers Association. He earned his Electrical Engineering degree from the University of Nebraska and lives in Dallas where he and his wife raised their two children and are now enjoying their empty nest. Tim Wackel is one of today’s most popular sales speakers because he makes information entertaining, memorable and easy to understand. He combines more than 25 years of successful sales leadership with specific client research to deliver high-impact programs that go beyond today’s best practices. Tim’s keynotes and workshops are insightful, engaging and focused on providing real world success strategies that audiences can (and will!) implement right away. Why smart marketers don’t avoid the sales funnel, and dumb ones do! By definition, the sales funnel appears to be the domain of the sales department, but in the past few years enlightened marketers have realized that the sales funnel is one of their most useful tools to understand and control marketing. 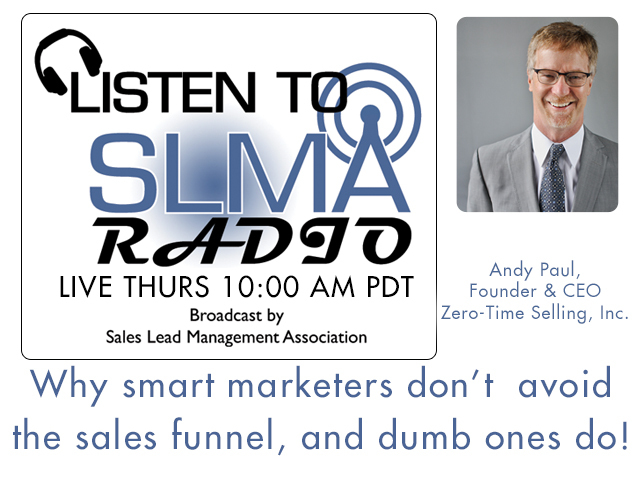 In this interview, Andy Paul, Author of Zero Time Selling makes the case for the importance of using the sales funnel as marketer’s most fundamental tool in controlling marketing spending on promotions that work. Andy Paul , the founder & CEO and founder of Zero-Time Selling, Inc., is a leading expert on maximizing the value of your selling to help customers make fast and favorable decisions. He is recognized as one of the leading global experts on social selling. Andy is also the author of the award-winning book, Zero-Time Selling: 10 Essential Steps to Accelerate Every Company's Sales. Zero-Time Selling® reflects Andy’s knowledge that in today's hyper-competitive sales environment "how" a company sells its products and services is as important as "what" they sell in creating value for the customer and effectively differentiating their company and offerings. With more than 30 years in the sales business as a successful sales professional and sales vice president in companies ranging from raw startups to Fortune 1000. Andy is a frequently sought-after speaker, trainer, executive sales coach and sales process consultant. He splits his time between offices in New York City and San Diego. How salespeople spend their time (spend is the operative word) can make a staggering difference in productivity (code word for ROI) of a sales rep. Jorge Jeffery of Velocify shares the results of data collected from 400 companies and one million sales leads. 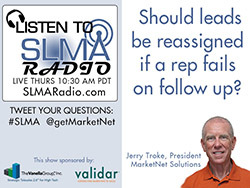 He tells the SLMA Radio host Jim Obermayer how to double conversion rates, (close more deals) and how to call leads more quickly. All of this comes from their recently released study: The Power of Prioritization. Jorge Jeffery joined Velocify in 2011 and is senior manager of strategic intelligence. Jorge has been instrumental in mining data from the more than 1,500 sales teams that leverage Velocify’s solutions today. Insights gleaned help establish best practices for Velocify clients in order to maximize revenue potential. The company has helped more than 1,500 companies across a variety of industries improve customer acquisition practices and sales performance. Velocify was recently recognized as one of the fastest growing companies in North America by Deloitte and a Best Place to Work by the Los Angeles Business Journal. 1:08 Whose responsibility is it. We have to start holding sales managers responsible for not performing. 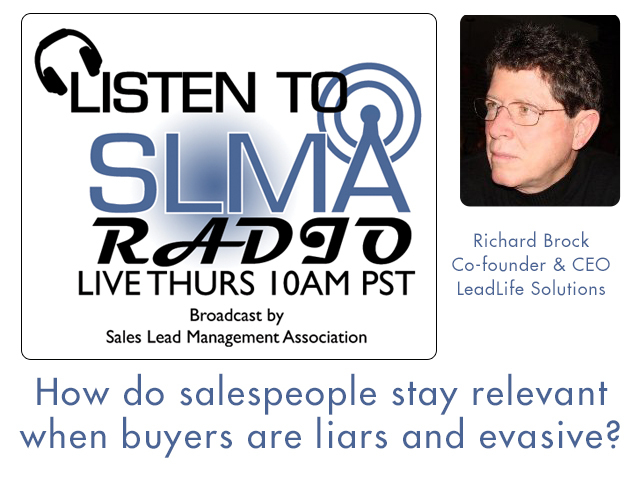 1:30 Sales Managers haven't had the tools to figure out who's doing what and when. 2:13 Focus on qualification rate in the first place from marketing qualified lead to sales qualified lead. It's been really neglected and ready for change. 2:57 Is it more tool oriented? Jim wants to know. 3:15 Sales doesn't use the tools. 3;27 Velocify the tool: Sales acceleration software. 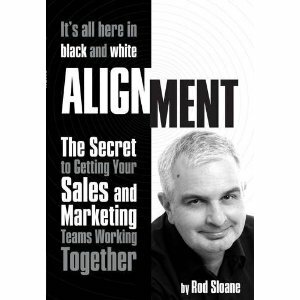 Helps inside sales teams - makes them more effective at taking a lead that is marketing qualified and turning it into a sales qualified lead. 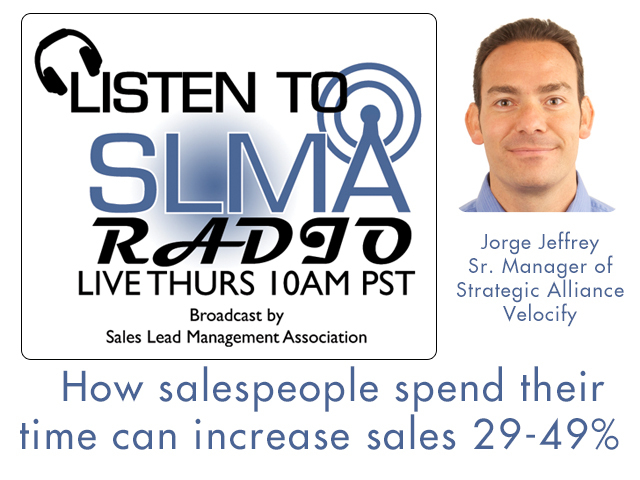 4:03 Distributing leads to sales team based on historical sales performance. 5:42 Velocify includes the pieces left as optional in most CRM tools. This is not a CRM tool. 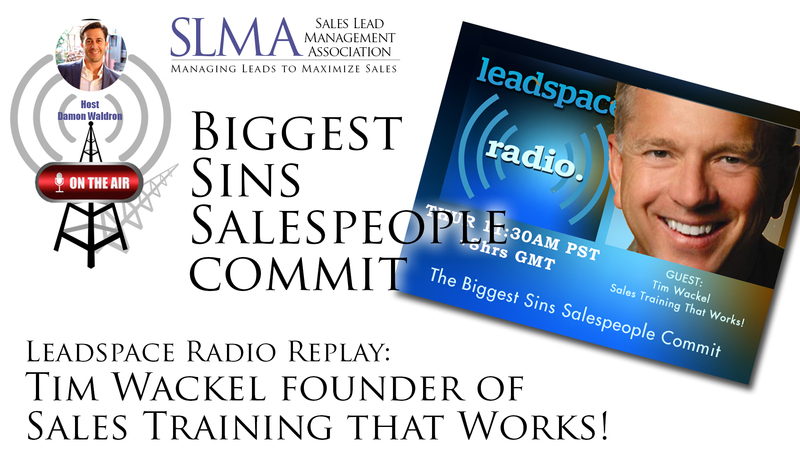 6:00 The problem is, more people going into inside sales teams because of lead marketing leads explosion. This leads to poorly trained team. 7:00 Sales 2.0, Jim said the speakers said the only sales forces growing in following year will be inside sales teams. Nick Hedges agrees. 7:45 Bring field teams inside - that may be the answer. 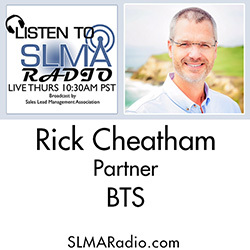 8:45 Nick's advice to sales managers, "Have to move to something over time. If you start off with highly prescriptive, it tends to get rejected by the sales people. Kind of tie things up over time. 9:40 Reporting and visibility systems about people's relative performances is a really good way to drive the right behaviors. 10:10 Best clue is boards on the wall showing the top performers. That's how you know they some some good systems in place. 10:51 Everything should go over to sales, according to Nick Hedges. 11:25 Marketing automation systems are good for drip emails and content until the lead qualifies as a sales qualified lead. 12:15 Most transformational thing about marketing automation is that it created a catalyst for sales leaders and marketing leaders to agree on what is a viable qualified marketing lead. If that doesn't happen, you're back in that cycle of rejecting leads and having leads rejected. 12:55 Qualified lead is clear for Velocify: based on bad framework, size of prospect, clear intention to purchase our software. There is no such thing as a standard definition. Make your marketing qualified lead definition as less-exacting as you possibly can. 13:20 There is no substitute for human conversation. 14:00 Jim told a story about a company who was in deep trouble closing deals and meeting quota: "Criteria was so tight that they were not making quota, but 2500 leads were stuck in lead qualification portion of the system." Had to kick it loose. 15:25 Nick Hedges does not stand by BANT framework. He feels you'll lose too many potential sales qualified sales leads staying strict to BANT. 16:50 B2C customers include banks, mortgage companies, insurance companies, higher education. They tend to orient toward medium and large size companies. 17:30 B2B is fastest growing in their portfolio, tends to be pretty vertically agnostic. Medium and large size companies with a common characteristic: they are trying to scale their sales efforts at a very fast pace.